A China-Rwanda media forum on Thursday afternoon raised the curtain of the three-day activities held in Kigali under the guidance of the State Council Information Office of China (SCIO). The forum hosted by SCIO and organized by Xinhua News Agency was themed on deepening media exchanges and cooperation for a future of common China-Africa development. Representatives from over 10 Chinese and Rwandan media outlets held heated and candid discussions at the forum and reached many consensuses. 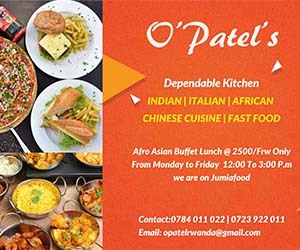 Following the media forum, the “Beautiful Rwanda, Beautiful China” photo exhibition jointly hosted by SCIO, Chinese Embassy in Rwanda and China International Publishing Group kicked off on Friday morning at the University of Rwanda. The exhibition displayed over 80 images of picturesque landscapes and cultural customs of China and Rwanda as well as fruitful achievements of China-Rwanda friendship and China-Africa cooperation. Vice minister of SCIO Guo Weimin, Chinese Ambassador to Rwanda Rao Hongwei, permanent secretary of Ministry of Sports and Culture of Rwanda John Ntigengwa and other guests cut ribbon for the exhibition at the opening ceremony. The exhibition is hoped to help audience from both countries to experience the beauty of China and Rwanda as well as their long history, review the traditional friendship between the two countries, and look ahead into new chapters of bilateral cooperation, said Guo. China and Rwanda have bonded through numerous and harmonious interactions, said Rao, describing the photo exhibition as a vivid example of China-Rwanda friendship. The photo exhibition comes at a time when the bilateral ties between Rwanda and China are getting stronger, which will help visitors deepen understanding of Rwanda and China, Ntigengwa said. The displayed photos show the friendship between Rwanda and China, said a 22-year-old university student Obed Remy Namahoro after visiting the exhibition crowded with visitors. He expected this friendship could be further strengthened. 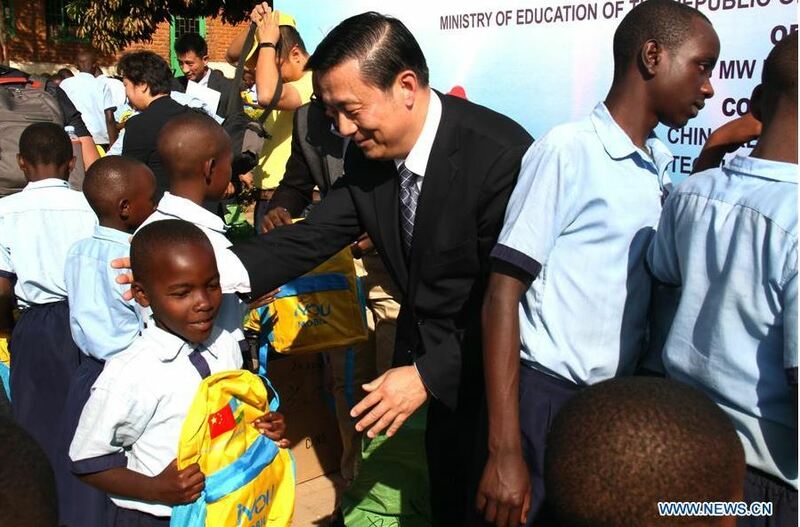 Students of Kacyiru primary school Friday afternoon received gifts and good wishes from China. Beijing MW Foundation and China Report Press, subordinates organizations of China International Publishing Group, together with Chinese enterprises held the “Brightness and Books” donation ceremony here, where 500 students from the school received school bags containing solar desk lamps and school supplies. The “Brightness and Books” education assistance program, supported by SCIO, Chinese Embassy in Rwanda and Rwanda’s Ministry of Education, will benefit over 2,000 students in Rwanda. Guo encouraged students to concentrate on study and contribute to the development of Rwanda in the future. SCIO will continue to advance such program and provide support to Rwandan people within its ability, Guo added. Director General of Rwanda Education Board Irenee Ndayambaje expressed his appreciation to the Chinese people for their continued support towards quality education of Rwandan children. The launching ceremony of a Chinese film panorama held on Saturday marked a successful end of the three-day activities. Ten Chinese films dubbed into English will be screened in Rwanda during the one-month “Colorful China” film panorama hosted by China Media Group. This film event will help Rwandan movie-goers better understand the film culture of China and boost the development of the movie industry of Rwanda and Africa, said Guo. He said he is confident that this event will play an important role in promoting mutual understanding and friendship between the peoples of China and Rwanda as well as consolidating the public opinion basis of the cooperation between the two countries.